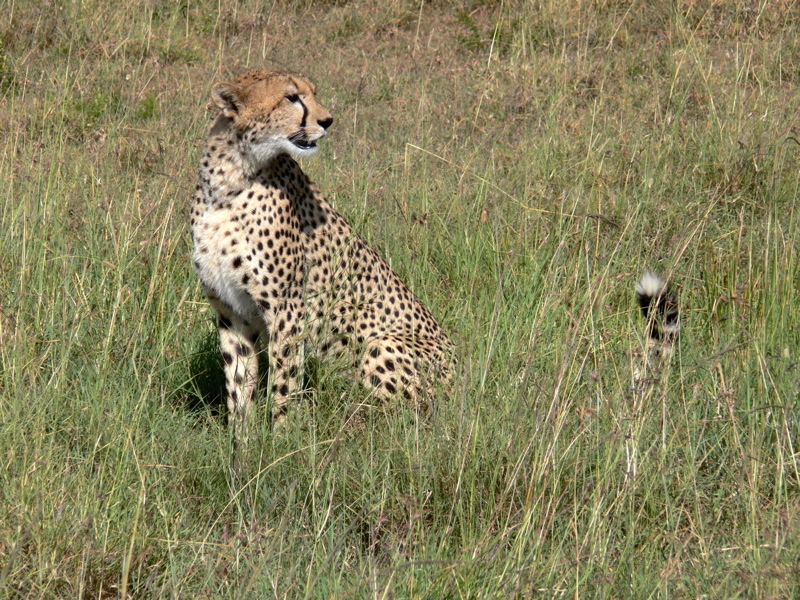 Cheetah. Thinking, "What's that? ... Oh, it's my tail."